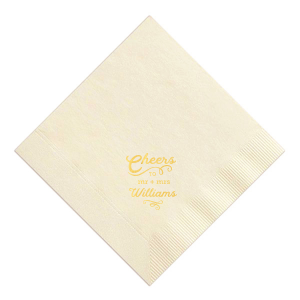 Your delicious meal deserves serving accessories just as wonderful. 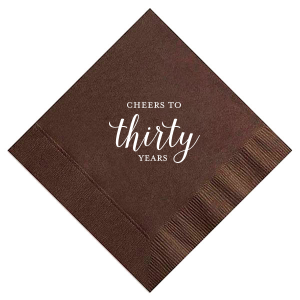 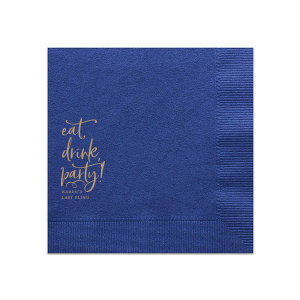 Create personalized dinner napkins on For Your Party to top off your meal! 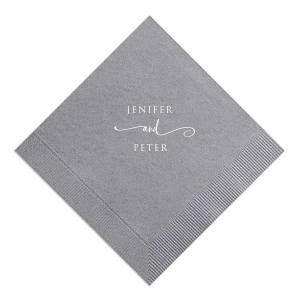 Custom dinner napkins are a fantastic addition to your wedding tables. 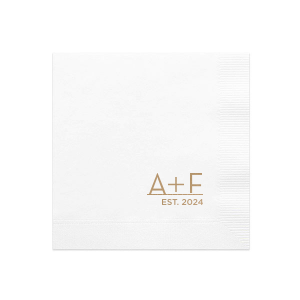 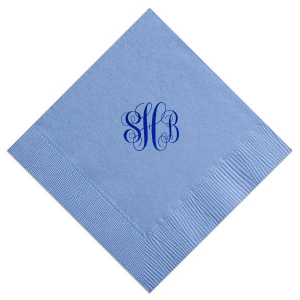 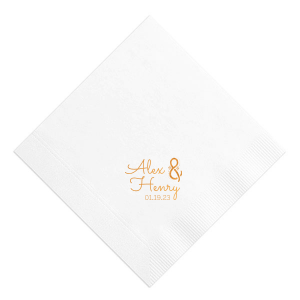 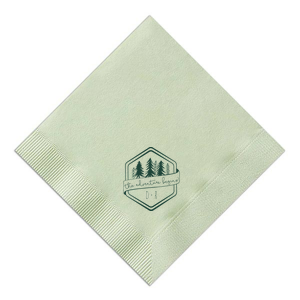 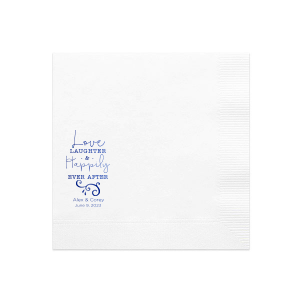 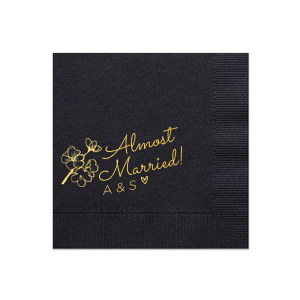 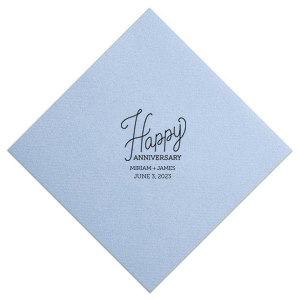 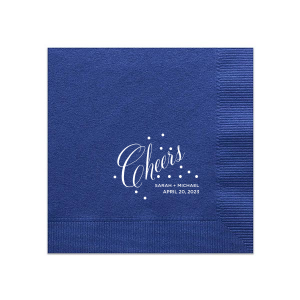 Guests will love your personalized wedding dinner napkins. 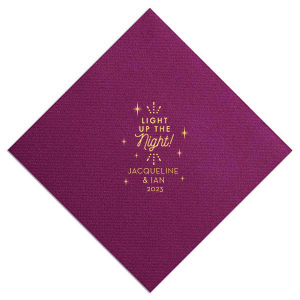 You can add an elegant foil stamp with the bride and groom's names and the date of the wedding. 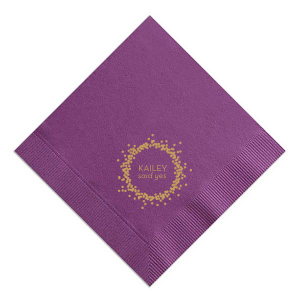 Choose colors that match your wedding theme! 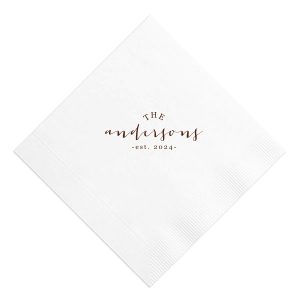 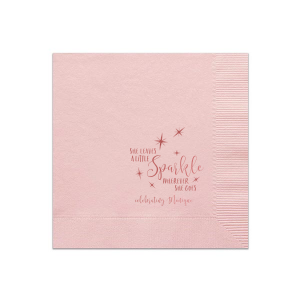 A larger napkin, you also have plenty of space to add cute clipart to really make your design special. 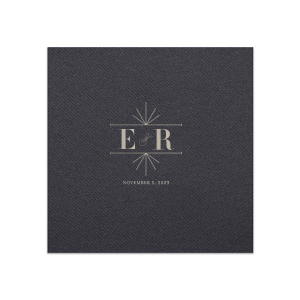 Maybe keys or birds are part of your wedding theme. With lots of different dog graphics, you can also bring your beloved pup into the design. 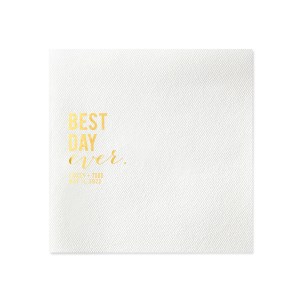 Or, add a trendy phrase like "Best Day Ever" or "It was always you." Not looking for wedding napkins? We have designs for every occasion! Choose from one of our styles or upload your own art for a totally unique look. 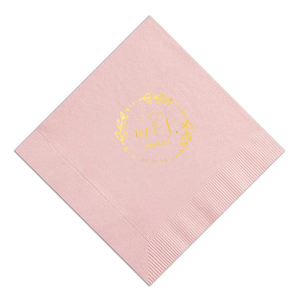 Other cute designs we have for custom napkins are "A party without cake is just a meeting" and "Congrats Grad" napkins. 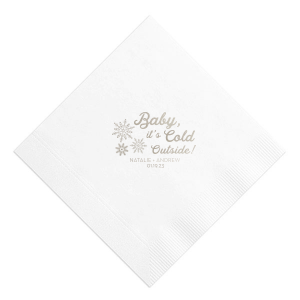 Custom dinner napkins are also great for birthday parties and holiday parties like Christmas and Thanksgiving.